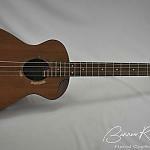 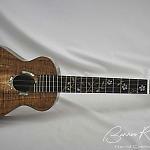 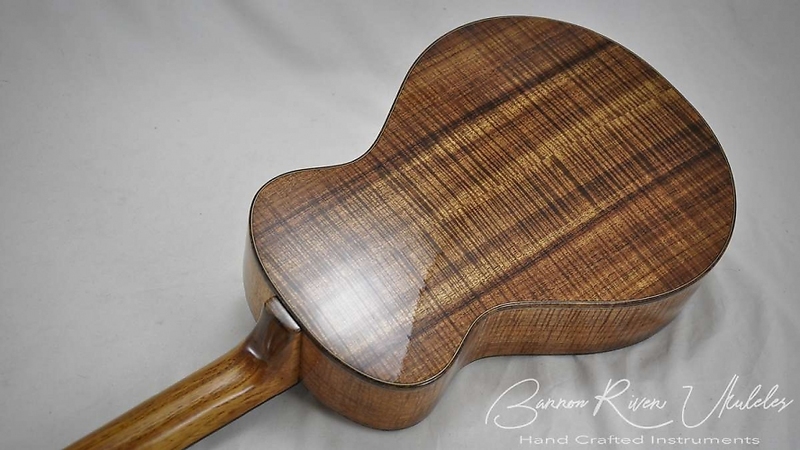 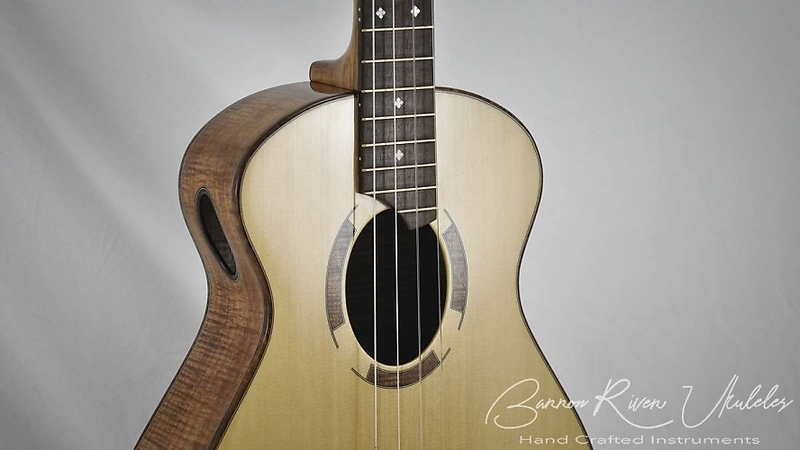 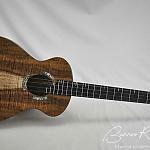 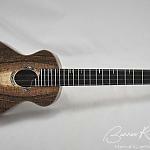 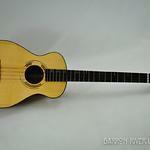 This is a baritone ukulele with a 21.5" scale length. 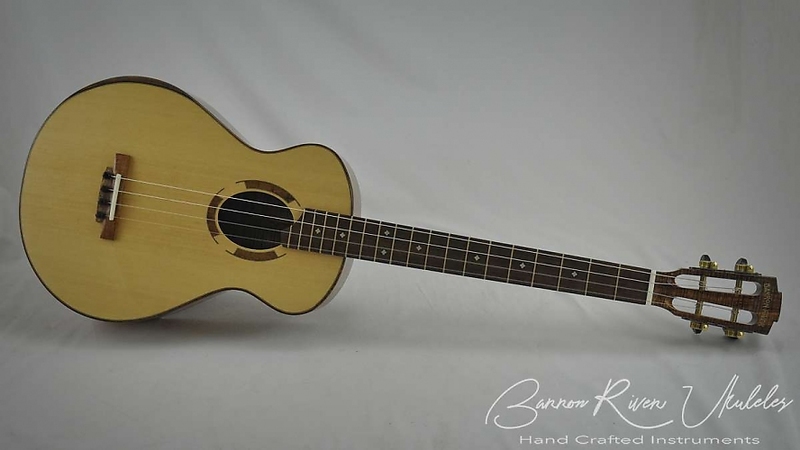 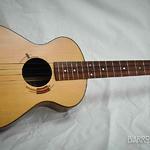 Made from Australian Blackwood with a Yellow Cedar soundboard. 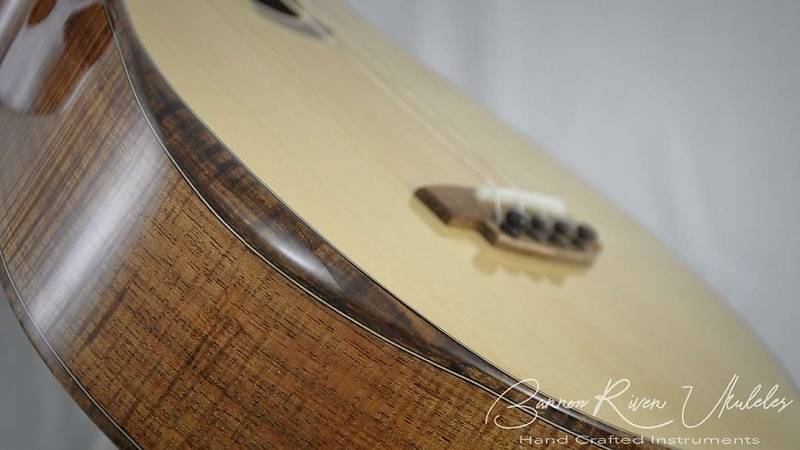 Gidgee fret board with a compound radius of 12" at the nut and 16" at the sound hole. 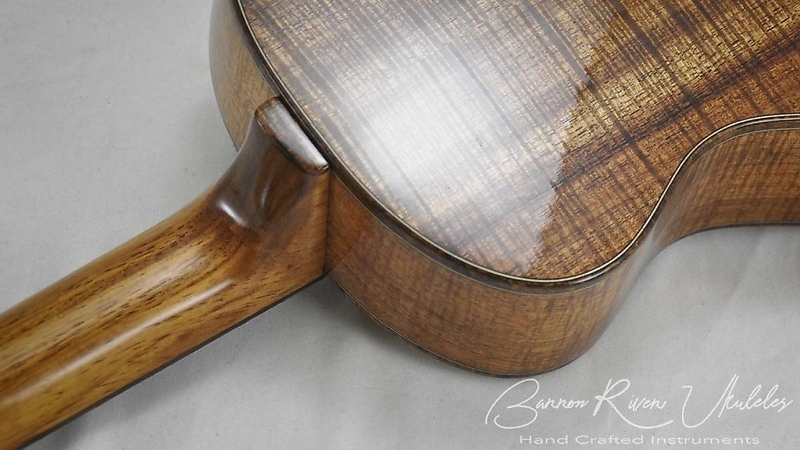 Gidgee bindings including the arm bevel and sound port. 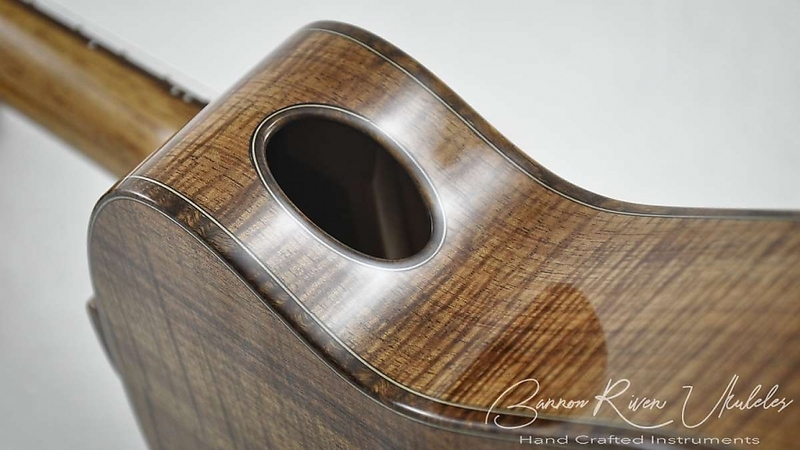 Rubner machine heads and finished in a high gloss.